The ear stud, the most modest type of earring. The less is more principle definitely applies on this one. 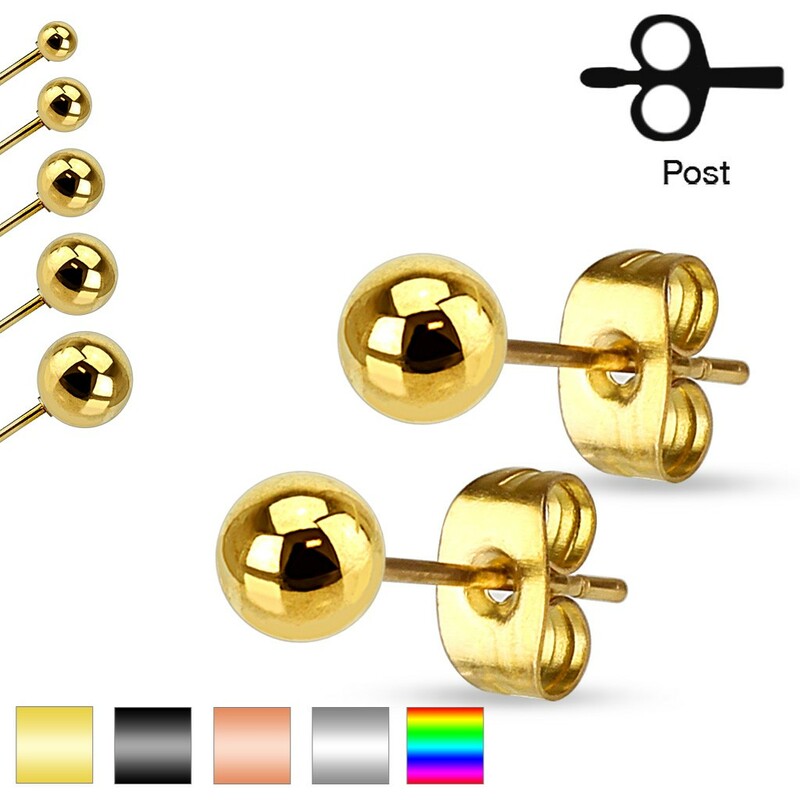 These ear studs are available with a ball size of your choice, Whether you pick the very small 3 mm ball or the very big ball of 7 mm, it is these type of ear studs that are a must in every earring collection. With a thickness of 0.8 mm these are suited for all who have a pierced earlobe. These ear studs are available in a range of colours. The colors gold and rose gold are gold plated. Therefore ,you should be careful when exposing them to fluids and friction, when over exposed they might lose their gold plating.